So what’s the big idea about Flag Day? 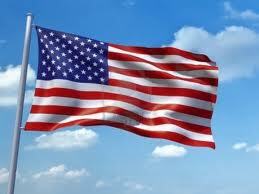 Tomorrow, June 14, is Flag Day here in the United States. Of our several, official days of national recognition for patriotic themes, Flag Day is one of the lesser. Unlike President’s Day, which amalgamated the honoring of Lincoln’s February birthday with what had been exclusively George Washington’s privileged status, no government workers receive a paid day off on Flag Day. Still, many of us consider it a civic duty to fly our national ensign on the 14th of June. There is a vast range of interpretations as to what our flag truly represents, but there are those among us who see our national symbol as a call to act selflessly in honor of the best our flag denotes. There are semantics and no shortage of historical context surrounding what we today know as Flag Day. During Woodrow Wilson’s first term, The Great War in Europe, then in the middle of its second year, was dividing American opinion as to which of the combatants, if any, America should support. Though the Wilson Administration was officially engaged in a policy of neutrality, it unofficially, at least in 1916, promoted a nationalism that sought to quiet dissent in the likely event that the country would be drawn into the war. It was on Decoration or Memorial Day in 1916, that President Wilson issued a proclamation officially recognizing Flag Day to be on June 14. The proclamation’s timing with that of a day honoring martial sacrifice was no coincidence. America would enter the global conflagration less than a year later. Not until the early years of the Cold War did Congress enact a law officially designating June 14th as National Flag Day. President Harry Truman signed the law in 1949 as Americans were once again divided as to the degree the country should engage communism. At the time of the act’s signing, August of 1949, communist forces under Mao Zedong were in the final months of defeating the U.S backed Republic of China’s forces led by Chiang Kai-shek who would flee to Taiwan in October of that year. My friend and fellow Marine, Tom Koorsen and I came to a common, anecdotal conclusion about the display of the American Flag in the weeks immediately following the terrorist attacks on September 11, 2001. 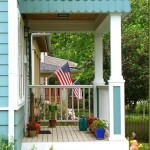 Sitting on my porch at my home at the time in Richmond, Indiana, the two of us remarked on the near ubiquitous sight of flags flying from homes on nearly every residential street. Looking up and down were bright, new flags, interrupted by a very few faded flags. These were not ragged or unserviceable flags, but rather flags that had been flying long before the attacks prompted residents to purchase the flag, the staff and the mounting gear with which they affixed Old Glory to the front of their homes. We both surmised the faded flags flew on the homes of veterans. Those who served had always flown the flag. Our unscientific conclusion was often confirmed by the presence of the Marine Corps flag or that of the other services. The flag also began to appear with great frequency in other forms. 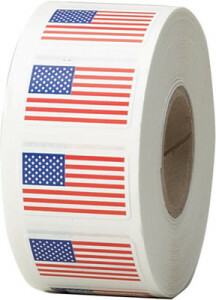 Clothing items, such as t-shirts and ball caps, bearing the image of the American Flag, often carried in the beak of a menacing looking American Bald Eagle, were sold and worn nearly everywhere Auto decals bearing the American Flag also dramatically increased in appearance. To wear a shirt and affix to one’s care an image of our nation’s flag became synonymous with loyalty and patriotism. To not conform to style was a strong suggestion in the minds of many of tacit approval of the enemy’s aims to destroy American. Few Americans who aren’t history teachers or students are even aware of the war-time nationalism during America’s involvement in World War I. Groups such as the Sons of Liberty sprang up to observe their neighbor’s perceived lack of enthusiasm for the war effort and report such behaviors or utterances, public or private, to government authorities. If innocence is the first casualty of war, dissent is surely the second. In my first year of teaching at one Ohio school district, one month after 9-11, my own patriotism was challenged. As I exited my car in the school parking lot, a coach/teacher who’d also just arrived reproached me indignantly for not having a flag decal on my car. Like most Marines, my car bore more than one Marine Corps emblems, which I curtly pointed out to my accuser, asking in which branch he’d served. Of course, he hadn’t. He offered a half-hearted, half-apology and skulked off no doubt checking bumpers for evidence of disloyalty. Like the proclamation of 1916, America was again at war within a year and a half of 9-11. Unlike the Great War, its sequel world war, both the Korean and Vietnam wars, Americans could not be persuaded to either pay for the costs of war or send its sons and daughters in the democratic representation that marked its previous battles. Instead, most American families displayed the American Flag in some form, but not the banners bearing blue or gold stars. It was as if displaying Old Glory was sacrifice enough. In the little more than a decade that’s passed since then, Flag Day has fallen out of vogue throughout much of the country. As the last of two wars during that period is winding down, that national outrage du jour is that of outrageous wait times for veterans seeking initial treatment at VA hospitals, facilities in which funding for primary care physicians was neither asked by the administration to meet the known increase in cases, nor offered by Congress also cognizant of the need. If history is prologue, any forthcoming sacrifices by the public will match those made when veterans returning from war faced much higher rates of unemployment than those who didn’t serve or see taxes raised to pay the costs of war. Today, like all others, I’m flying my American Flag as well as the colors of the Marine Corps. 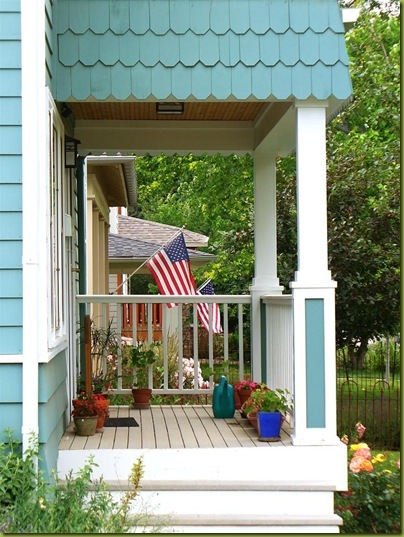 If last year’s Flag Day is any barometer, perhaps half of those homes in my middle-class neighborhood will display the flag, though almost none will fly a service-related flag. But flying a flag, wearing a cap, a t-shirt or conspicuously displaying a decal requires, and therefore, means little, if anything, of substance. For me, and for others, though not nearly enough, my nation’s flag represents, not perfection, but a desire to act in the best manner, to be willing to sacrifice. I never served in combat, but I know I have a duty to help those who did. Today, on Flag Day, I resolve to do more than fly the flag. I’ve unconsciously avoided volunteering at the local VA hospital where I receive great medical care, but Flag Day is the day I translate my own value of what the American Flag stands for into action. I hope that you reading these words will do the same. Good reminder, we,ll sure as hell fly our two flags. At our Tea Party meetings we always begin with a prayer to Almighty GOD followed by reciting the Pledge of Allegiance. We also, always have our National Flag present at the front of our meeting place.